Tales from the river, road and sea! If there’s one thing that I'm certain of, it’s that we are all capable of much more than we realise – all it takes is a little self-belief and a hearty pinch of perseverance. I'm a keen advocate of aiming high and following your inner spark. Having quite literally leapt out of my comfort zone a few years ago whilst cliff-diving in America, I now enthusiastically encourage others through my public talks to think big, be brave and to start now. My talks are about the importance of mindset when it comes to challenges of any kind. From the planning and logistics that go on behind the scenes, to the endurance capability of the human body and how to deal with the unexpected! 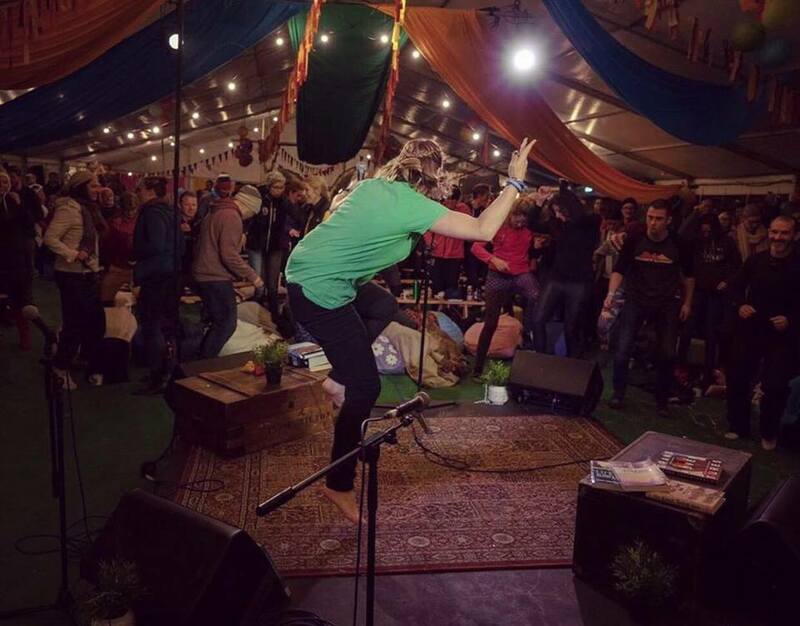 Leading hundreds of people to unleash their inner warriors at Yestival! If you want your pupils to really understand what embracing life’s opportunities is all about get Laura to come and talk to your school. The stories of her adventures were both fun and inspiring and I challenge anyone who hears her speak not to be motivated to undertake some kind of challenge as a result – no matter how small. I have years of experience in public speaking, to both adults and children, and I'm able to tailor my talks to your requirements. Topics include motivation, resilience, endurance performance, confidence, nutrition, adventure, mindset and how to make the most out of everyday living.